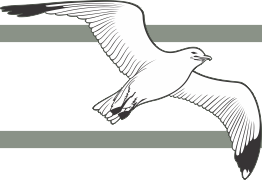 On this page you will find all male urinal kit replacement components that are sold separately. If you are looking for an item and it is not on this page, chances are the item is either listed under another menu category or it is not sold separately. Items are listed in numerical order. 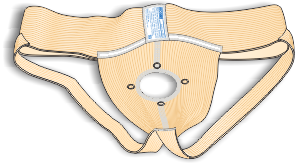 Replacement sheath found in Urocare® Male Urinal Systems with Latex Leg Bags and Urocare® Male Urinal Kits. We don't give odor a chance! We added a special new odor control barrier to the inside and outside of our latex urinal sheaths for double odor protection. Now you can be assured that odor is a thing of the past. This special odor barrier makes Urocare's urinal sheaths virtually ODOR-FREE, not just odor-resistant; thereby preventing embarrassing odors before they start. Replacement sheath found in Urocare® Male Urinal Systems with Latex Leg Bags and Urocare® Male Urinal Kits. 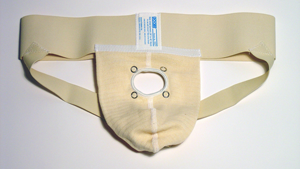 Our Standard Suspensory Garments are made from cream colored cotton and elastic which is comfortable, light and doesn't promote heavy sweating. Adjustments to suit individual requirements can be made with the laced closure at the back of the waist band. Found in Urocare® Male Urinal Kits with Latex Leg Bags and Urocare® Male Urinal Kits. 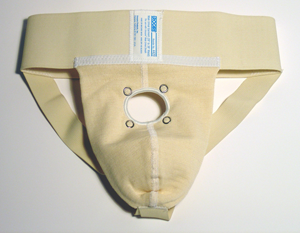 With our Universal Suspensory Garment there's no more fooling around with laces or waist sizes that don't fit! This new suspensory has Velcro® fasteners that attach in multiple positions along the waist band to provide the perfect universal fit. 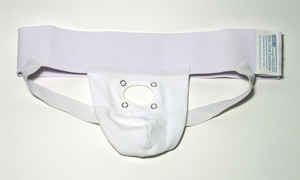 Made from white cotton and elastic, it's comfortable, light and doesn't promote heavy sweating. The self-gripping fasteners and elastic sections allow for easy adjustments to suit individual requirements. Found in Urocare® Male Urinal Systems with Latex Leg Bags and Urocare® Male Urinal Kits. 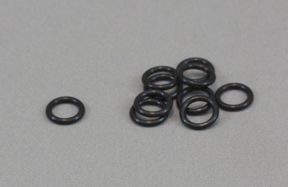 Replacement gasket-ring for: Urocare® Standard Bottom Drain Valve (#6004), Straight-Thru Adapter (#6005), Male Urinal Adapter (#6022), and all Quick Drain Valves™ (#700110, #700118 & #700172). This short, multi-purpose adaptor may be used as a replacement adaptor for the Standard Bottom Drain Valve supplied with all Urocare® Reusable Latex Leg Bags and Urocare® Male Urinal Sheaths. 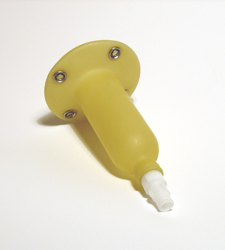 It may serve as an alternative drain valve, an extension or as an adaptor for the Male Urinal Sheaths to connect them directly to most any rubber or disposable, vinyl leg bag. OTHER Gasket-Ring and clamp preassembled. SIZE† STRAP: 21.75" x 0.75" x 0.06"
CAPACITY‡ Suitable for bags up to 44 fl. oz. 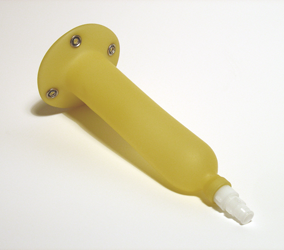 Where a direct connection between a Urocare® Male Urinal Kit and a Urocare® Reusable Latex Urinary Leg Bag is desired, this adaptor is used in place of the Urocare® Standard Top Adapter found on all Urocare® Reusable Latex Urinary Leg Bags and the Standard Bottom Drain Valve found on all Urocare® Male Urinal Sheaths. This replacement adaptor is only for use with Urocare® Reusable Latex Leg Bags and Urocare® Male Urinal Sheaths.